Executive Mosaic is proud to announce J.D. Crouch, CEO at QinetiQ NA, as the newest inductee into the Wash100, the premier group of leaders who drive innovation and execute strategic vision at the intersection of the public and private sectors. Crouch joined QinetiQ North America in 2009 as executive vice president for strategic development and later became president of the technology solution’s group. 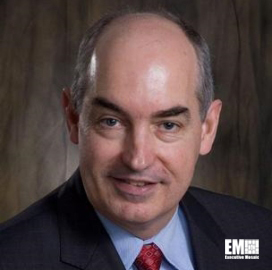 He succeeded Duane Andrews as CEO in April 2013 and leads QinetiQ NA’s defense, security and commercial programs. “I am excited to be taking on the leadership of QinetiQ North America,” he said when he took the CEO post. “This is an energetic organization with an unrelenting commitment to our customers at its core and I believe we are well-positioned to take the business to the next level of its development and growth,” he added. Crouch had a long career in government prior to joining the private sector, including assistant to the president and as deputy national security advisor where he dealt with national security matters, chaired the deputies committee and was second in charge at the National Security Council. He has also served as the U.S. Ambassador to Romania and the assistant secretary of defense for international security policy. Crouch has twice been awarded the Department of Defense Distinguished Public Service Medal. Executive Mosaic extends its congratulations to J.D. Crouch and the rest of the QinetiQ organization.